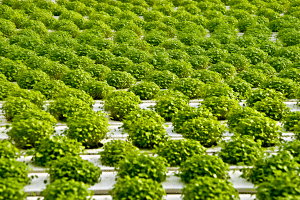 Living Water Farms, owned and operated by the Kilgus/Schneider families, is a small sustainable family farm located in the heart of Illinois farmland focused on growing the highest quality specialty greens and micro greens year round for top chefs, select distributors, and local retail throughout the Midwest. 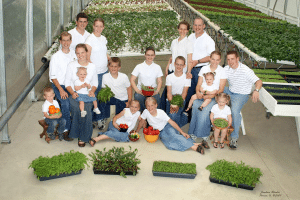 Multi-generational farm bringing you product grown the way it used to be… On the small family farm. We grow chemical/pesticide free utilizing sustainable practices for fresh, healthy food you can feel good about. 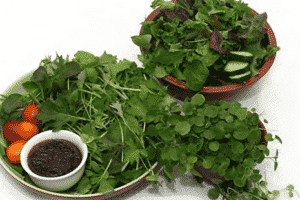 We focus on specialty greens, micro greens, and living trays such a pea tendrils, often grown especially for a specific customers. I bought your cress at Dave’s in Fairbury. First time I have had it. Fabulous. Made me think of times I have read of Victorian era, and they have cress and butter sandwiches. So far your greens have been amazing. Not only do they taste incredible, but they have true staying power for the week. We have a tiny cooler that is not ideal for holding greens, yet yours have maintained integrity throughout. You should be proud of your crops…we are very proud to serve them. Greetings! I just bought your living Cress from my Ann Arbor Whole Foods market. I made a lovely salad with it from a recipe I got from the internet. My first time ever trying Watercress and I loved it. I snipped the label from the bunch of cress and came into my study to learn about your farm and I just wanted to say I love what you’re doing, and keep up the good work! I wish you the best with your farming and keep the delicious produce coming.